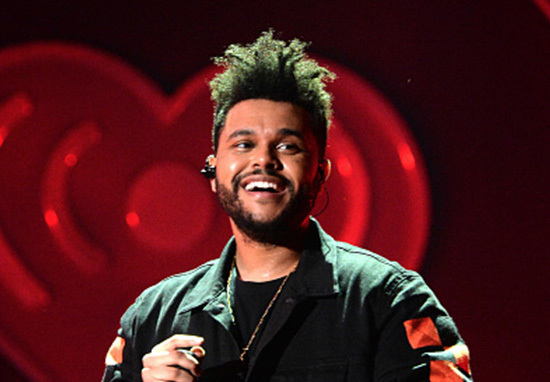 The Weeknd may have just started a conspiracy involving him and ex Selena Gomez. In new song Call Out My Name, the singer alludes to the fact he may have offered Gomez one of his kidneys as she underwent surgery last year. I said I didn’t feel nothing baby, but I lied. I almost cut a piece of myself for your life. Pretty on the nose, innit? Alas, Gomez didn’t go with the Weeknd choosing friend Francia Raisa as her donor last year following a Lupus diagnosis. Selena Gomez underwent surgery last year after Lupus caused significant complications with her renal system. I’m very aware some of my fans had noticed I was laying low for part of the summer and questioning why I wasn’t promoting my new music, which I was extremely proud of. So I found out I needed to get a kidney transplant due to my Lupus and was recovering. It was what I needed to do for my overall health. I honestly look forward to sharing with you, soon my journey through these past several months as I have always wanted to do with you. Until then I want to publicly thank my family and incredible team of doctors for everything they have done for me prior to and post-surgery. And finally, there aren’t words to describe how I can possibly thank my beautiful friend Francia Raisa. She gave me the ultimate gift and sacrifice by donating her kidney to me. I am incredibly blessed. I love you so much sis. Lupus continues to be very misunderstood but progress is being made. The singer and actress went on to become Billboard‘s Woman of the Year for 2017. Today, she’s doing a lot better but has been frank about what it was initially like post-op. I had someone in my life for a very long time who pointed out all the things that I didn’t feel great about with myself. When I look at my body now, I just see life. There are a million things I can do — lasers and creams and all that stuff – but I’m OK with it. And by the way, there’s nothing wrong with [plastic surgery]. I just think for me, it could be my eyes, my round face, my ears, my legs, my scar. I don’t have perfect abs, but I feel like I’m wonderfully made. I just kept thinking about how much my body is my own. Ever since I was 7, my life always felt like I was giving it to someone else. I felt really alone even though I had a lot of great people around me. But the decisions I was making, were they ever for me? [After the surgery] I had this sense of gratitude for myself. I don’t think I’ve ever just stopped and been like, ‘I’m actually grateful for who I am. Good for her. And good on the Weeknd if he actually did offer one of his kidneys to Gomez. Both solid people.